For Virgil Crowley, gardening is a natural hobby. He grew up on a farm, had a garden in the backyard before moving to a condo, and is a retired professor of agriculture economics. His wife also appreciates the art. "She just likes to get out, plant things and watch them grow," he says. 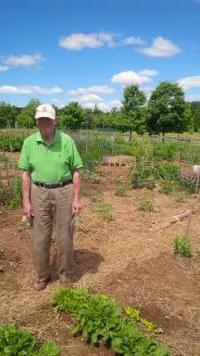 Virgil was tending to a plot last week at the Tudek Park Community Garden. His wife Genevieve and their neighbor Debbie Hoffman planted a variety of vegetables this season, including beans, peas, peppers, spinach, lettuce, and radishes. Virgil also hopes to plant tomatoes and sweet potatoes. He'd also like to plant kale, but he says seeds for the "hot item" and "miracle food" are hard to come by. 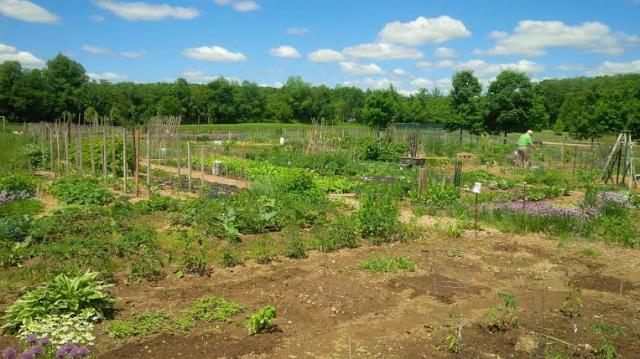 Now an expanding trend, residents have several options throughout the State College area to rent garden plots where they can harvest their favorite produce -- from the Tudek Park Community Garden to gardens in Harris and Patton townships to another garden at Penn State. 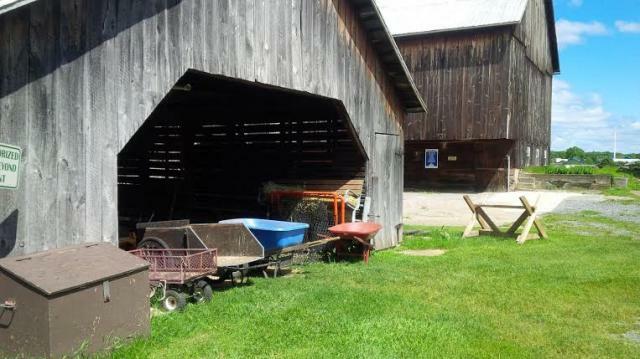 The Centre Region Parks and Recreation Department (CRPR) manages the Tudek Park garden. 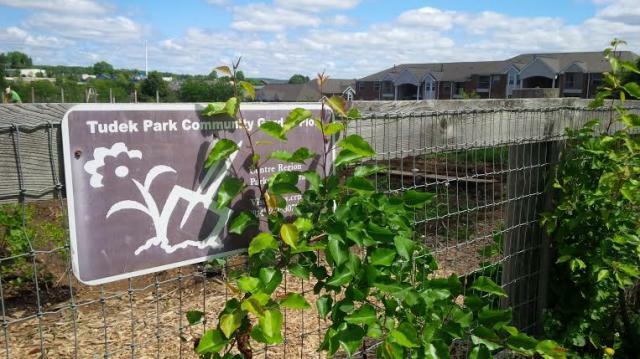 And, to address the growing demand, the agency has two additional community gardens planned for the future, Oak Hall and Whitehall parks. The Oak Hall Park is under construction and expected to open next spring. Jada Light, staff assistant with CRPR, says there are currently 40 people on the waiting list for a plot at Tudek Park, which has 110 plots that are 300 and 600 square-feet. 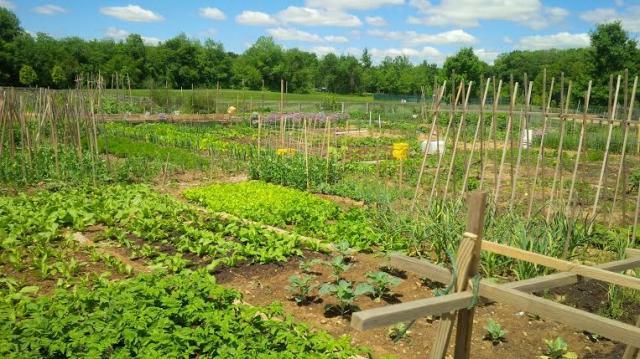 The garden also includes 22 organic plots, which means the use of pesticides is prohibited. A first-time gardener pays an annual fee of $27 for a single plot or $50 for a double plot, plus a security deposit of the same rate. The CRPR also has various gardening tools on site, like wheel barrels, rakes, a hose and watering cans. 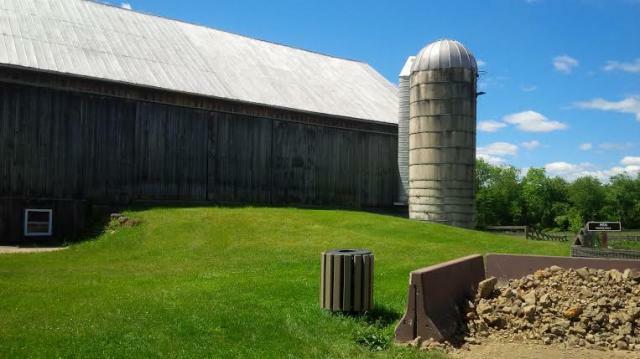 The agency also provides compost for the first six weeks of the season and wood chips for paths between plots. 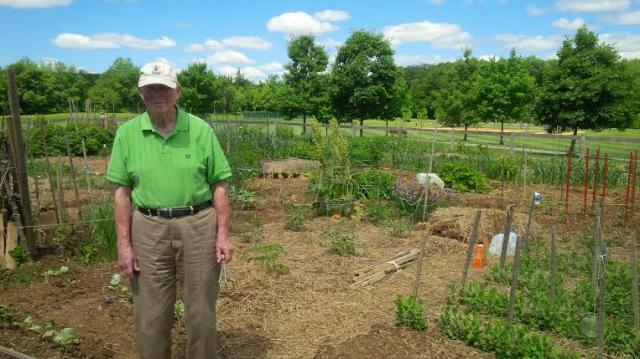 Light says community gardeners range from graduate students to retired couples. 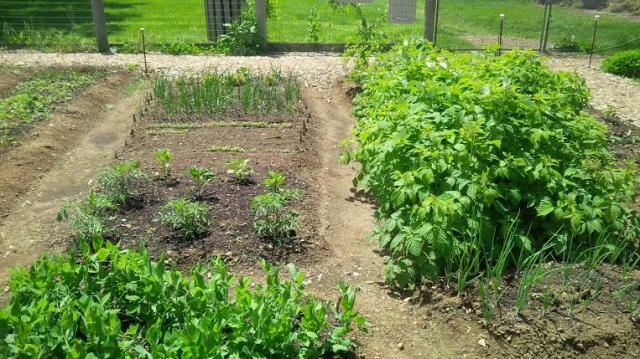 Niki Tourscher, program coordinator with CRPR, has a plot with the Patton Township community garden. She's growing peas, beans, broccoli, carrots, onions, spinach and a variety of flowers. "It's fantastic. I've met so many people and because I'm a first time gardener they can help me," she says. Serving her vegetables with a meal is rewarding, too, Tourscher says. "You feel more satisfied when you grow your own," she says. Aside from the actual planting, Tourscher says community gardening has been an opportunity to meet people of all ages and make friends. The gardeners often have dinner together at the garden. "It's so nice to enjoy the company and – like here (at Tudek Park) – it's so beautiful, to see the different flowers, plants and vegetables and all of the birds that come out. It's incredible," Tourscher says. 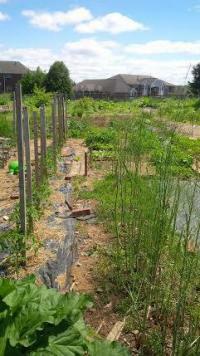 For more information on community gardens click HERE. 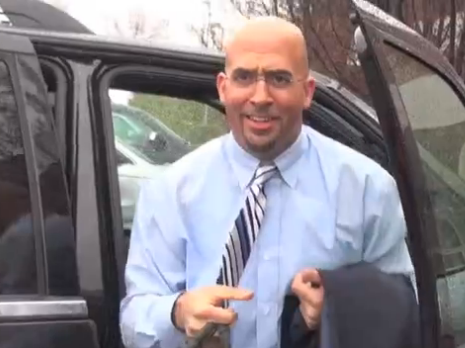 Two decades of coaching football. Eighteen job titles. Twelve coaching positions. Eleven towns and cities. Ten leagues and conferences. Eight states and two countries. “I’ve been everywhere, man.” Hit it, Johnny. Peripatetic to the point of dyspeptic? Hardly.